Every Day is a Holiday... Every Meal is a Feast! As a native New Englander, Kenny began his career by creating Daddy Jack’s Lobster & Chowder House on Greenville Avenue in Dallas. Later, in 1996 Kenny opened Lefty’s Lobster and Chowder House in Addison. He designed the menu for the restaurant and created a remarkably loyal following. After two years, Kenny sold the restaurant to a partner. In 1998, Kenny helped to create Big Fish Little Fish. He invested in the concept and brought his unique menu and style of hospitality to the restaurant. It almost immediately tripled in sales and profits. In March of 1999, Kenny received an offer from the original creator and owner of Rockfish Seafood Grill. Kenny accepted the position as Partner/Corporate Chef and played a very large part in furthering the development of the concept. After 7 years of developing and building independent concepts and 6 years as a Corporate Chef, Kenny teamed up with Bob Stegall. Together, they created Kenny’s Wood Fired Grill and after 3 successful years, Mike Hutchinson joined the team and they opened Kenny’s Burger Joint. 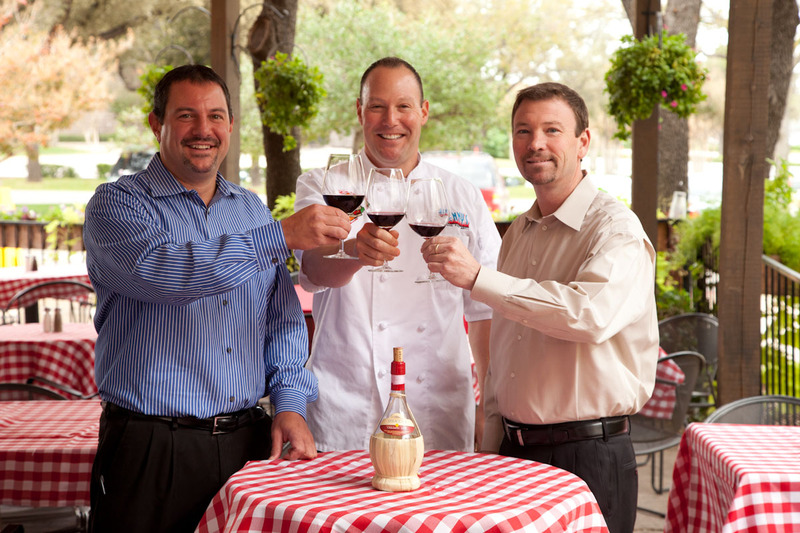 In 2010 Kenny’s Italian Kitchen in Addison joined the family, Kenny’s Smoke House was introduced to the Shops of Legacy in 2013 and a second Kenny’s Burger Joint opened in Plano, Tx at the Lakeside Market in October 2014. In 2016 Kenny’s East Coast Pizza and Great Italian Food opened in Plano, Tx at Park and Preston marking the sixth restaurant to open within 11 years. Bob has been in the restaurant industry since he was 14 years old and has done everything from dishwashing to accounting. He was with Via Real for 10 years prior to becoming a market partner for Rockfish Seafood Grill where he oversaw 11 restaurants in the DFW area. This is where he met Kenny and they decided to partner up. Currently, he oversees the accounting department and handles all financials and facilities. Joey started in the restaurant business as a busboy when he was 12 years old while growing up in South Padre Island, TX. He has a strong passion for the restaurant industry, which explains why he’s done it all his life. He managed for Macaroni Grill and was with the company for 10 years. In that time he did everything from serving, bartending, and training for 25 opening units across the United States to Executive Chef and General Manager. He then managed for Boston Market, was an Area Manager for 5 years and also managed for Sullivan’s Steakhouse for 2 years. Prior to joining the Kenny’s Family, Joey worked for 8 years at Chamberlain’s Steak and Chophouse. He left Chamberlain’s and joined the Kenny’s family in 2014 as a Managing Partner. In April of 2019 he graciously accepted the position of Director of Operations. Clay joined the team in June 2017. Starting his restaurant career at 15 years old as a busboy at Chili’s Grill & Bar, he spent his first 15 years in the business moving up from busboy to multi-unit Director. In 1995, he joined a local Dallas restaurateur to further develop Canyon Café where he helped take the company from 4 to over 20 restaurants. In 2000 Clay accepted the position of Vice President of Operations and partnered with Kenny Bowers & Bob Stegall where they helped Rockfish Seafood Grill grow from 4 restaurants to 18. In 2005 Clay joined PF Chang’s as a Regional Vice President for Pei Wei Asian Diner opening & operating 26 restaurants in the mid-west. In 2011 Clay & his family moved back home to Dallas to take on the role of Chief Operating Officer for MCrowd Restaurant Group (Mi Cocina, Taco Diner & The Mercury). Clay’s expertise in multiple cuisines & concepts should lend to bringing a Kenny’s concept to your neighborhood soon!